What are my organization's member approval settings in Practice? As an Organization Administrator you have the ability to manage how new members join your Organization. To get to your Approval settings, select the Org Admin icon at the top of the page. Partially Open: Approval is only required for new accounts when an account is created via group link with an email domain that is not a part of your whitelist. When you select Partially Open, type the email domain that you want whitelisted here . To add another email to your whitelist select Add New Domain . 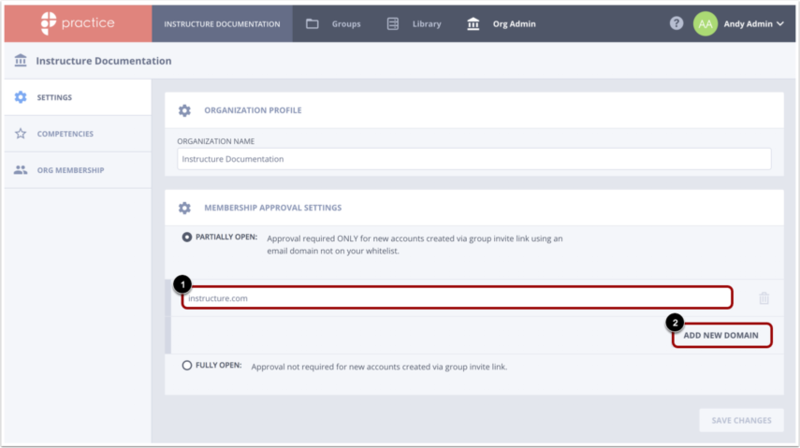 Fully Open: There is no approval needed when someone creates an account via group link in your Organization. Learn how to invite a member to via Group Link here. Previous Topic:What are the technical requirements for Practice? Next Topic:How do I approve a pending member in Practice? Table of Contents > Organization Management > What are my organization's member approval settings in Practice? What are the technical requirements for Practice? 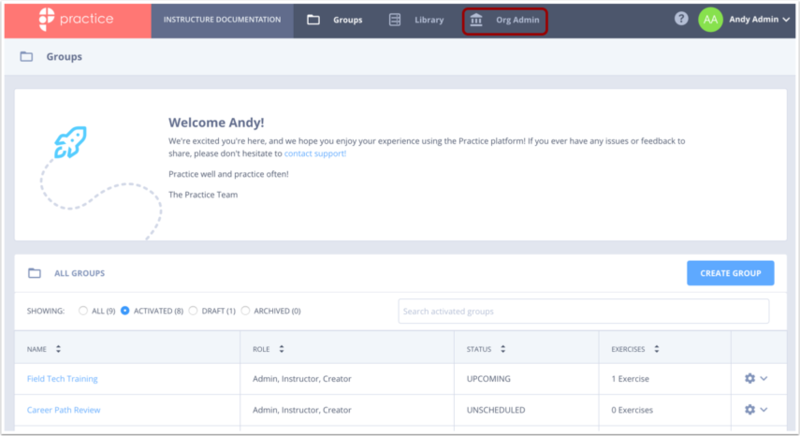 How do I approve a pending member in Practice?